If you've been eyeing the HSPA+ version of Google's Nexus 7, AT&T is now offering you a little incentive. 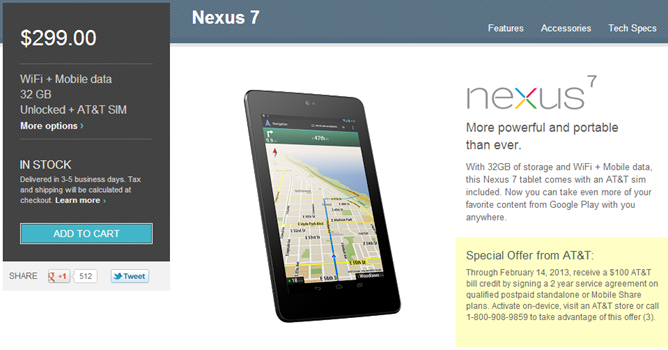 If you buy a Nexus 7 with 3G and agree to a 2-year data plan contract, AT&T will give you a $100 bill credit. 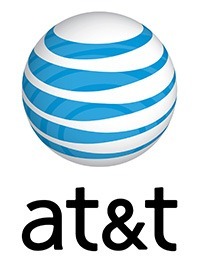 It's not the best deal in mobile, but if you're planning to stick with AT&T for a while it's free money. What? You're going to turn your nose up at free? This promotion mirrors a deal AT&T started running on its officially supported tablets late last year. With that offer customers could get a $100 subsidy on the upfront cost of a tablet in exchange for signing a 2-year contract. As near as we can tell, the original deal was not compatible with the Nexus 7, hence this is a bill credit and not a subsidy. To get the credit on the Nexus 7, you have to buy the tablet for the full $299 cost from Google, then call the number listed or visit an AT&T store to accept the contract offer. Eligible plans include the $10 Mobile Share lines available to existing smartphone customers, as well as postpaid standalone data plans. The data-only plans come in three flavors: $15/250MB, $30/3GB, and $50/5GB. The deal is only good through February 14. The HSPA+ Nexus 7 is currently showing a 3-5 day shipping time, so order up if this appeals to you.